Many people say to me that when it’s grey and miserable outside, they lack the motivation to pick up their cameras. I totally understand. I don’t pick my camera up as much in the winter months. And when it’s gloomy inside and outside there is no colour or leaves on the trees then it’s easy to lack inspiration. But I don’t give myself a hard time about it. If you don’t feel motivated to take photos, sometimes it’s best to leave your camera for a few days/weeks and pick it up again when you do feel inspired. I wanted to give you some tips for photographing your children in dull weather, to hopefully motivate you to pick up your cameras whatever the weather! I took the photos in this post in February when the boys had an inset day at school. I decided to take them on the train to London Waterloo for an explore around South Bank. I thought I would share with you some tips using the photos from our trip. All of the below photos were taken with my ‘play’ kit of a Canon 700D (which I have just upgraded from my 7 year old 400D) and a Canon 35mm F2 lens. You can read more about what kit I use for my professional work as a family photographer and my own personal family photos here. 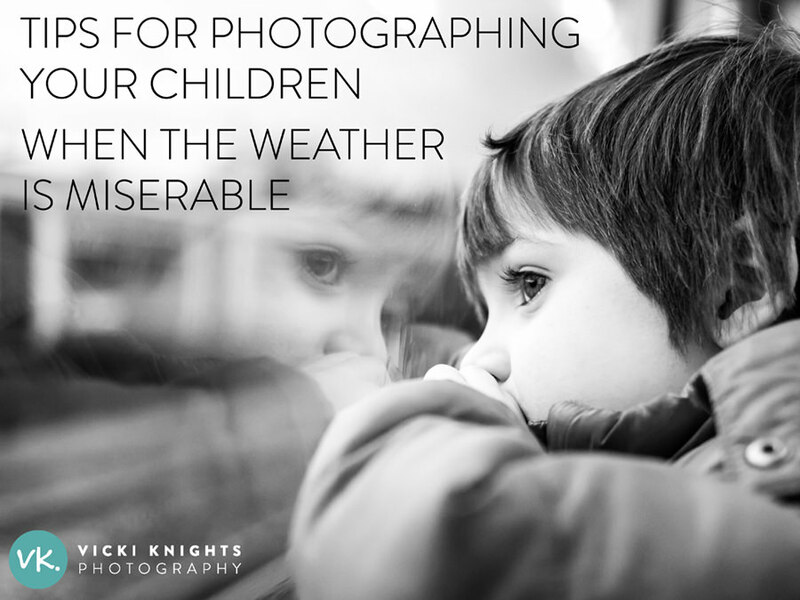 So here are some tips for taking lovely photos of your children when the weather is cold, dark and generally miserable! If you are a follower of my professional work, you’ll know that I love to shoot outdoors using the changing seasons as my backdrop. And I think this is why I struggle to feel inspired in the winter. I love shooting in the snow, but grey wet days? Not so much! And bare trees don’t make the best backdrop. So instead, take the opportunity to take your children into your nearest town and photograph them there. I love looking for garage doors, walls and interesting things to photograph them in front of. It’s all about looking for the right light as well. That’s a whole different topic for another day though! Nothing makes me want to get my camera out more than seeing a spot with lovely light. Like this little corner just outside the Royal Festival Hall. I loved the grey tiling, it was undercover so it got us out of the drizzle and the soft light was great. 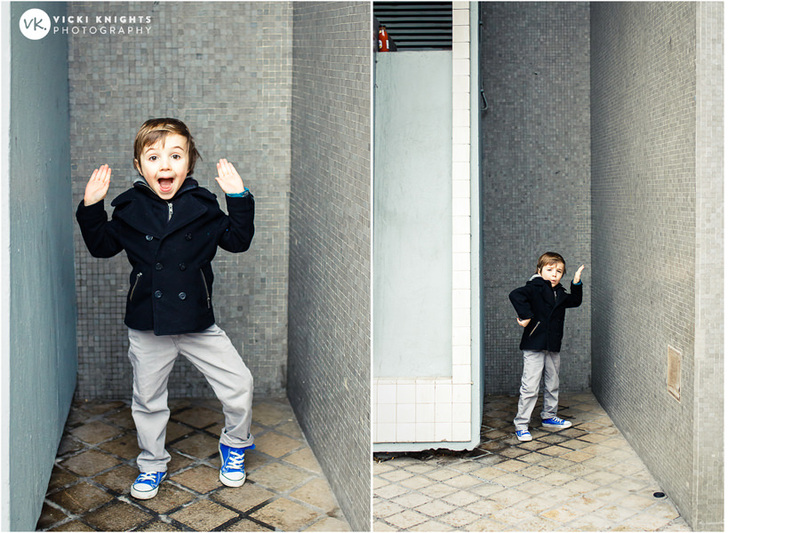 My 5 year old was goofing around which I rather liked as I think these photos really show his personality. When the weather is very grey, try and look for colour to include in your photos. 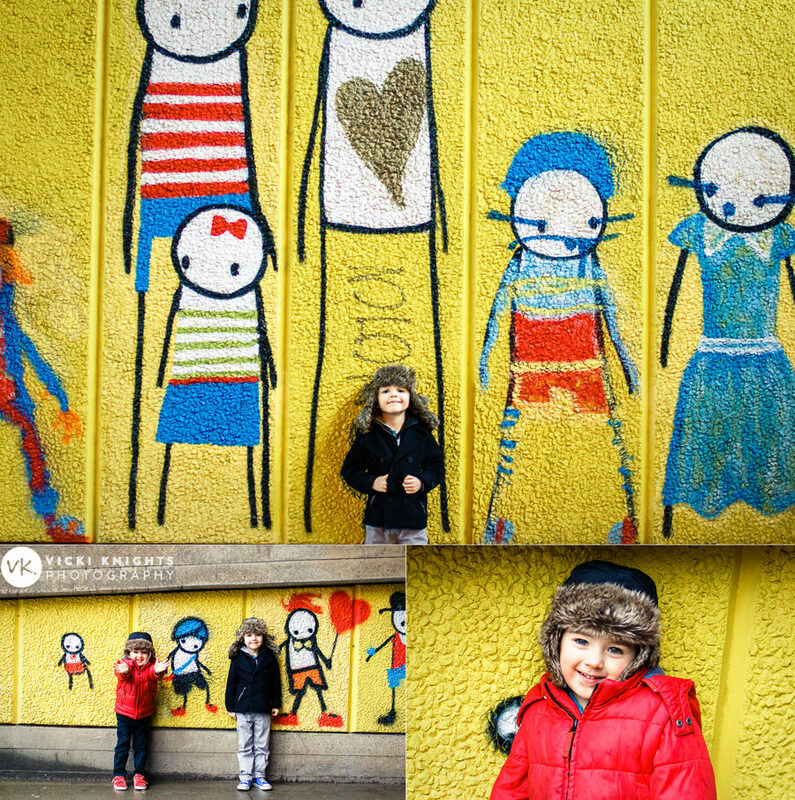 In urban locations, colour is often easy to find with graffiti or brightly coloured walls. We found this fantastic graffiti under the bridge and the boys loved it so were more than happy to pose in front of it. I’m not a big fan of using props in my photos unless they mean something to the child or help to tell a story. But on a dull day, props can really help to add some interest and meaning to your photos. A lady had randomly given the boys these balloons in Waterloo station and they were pleased with them so they help to tell a story from the day. So you could add both colour AND props to your photos and take your child out on their brightly coloured scooter for example. Or maybe you can’t get your daughter out of a tutu, so embrace it and take her out in her tutu and wellies and photograph her dancing under an umbrella. I know, a bit of a random one but bear with me! Trains generally have fantastic light. So if you are going on a trip somewhere, leave the car at home and get the train. 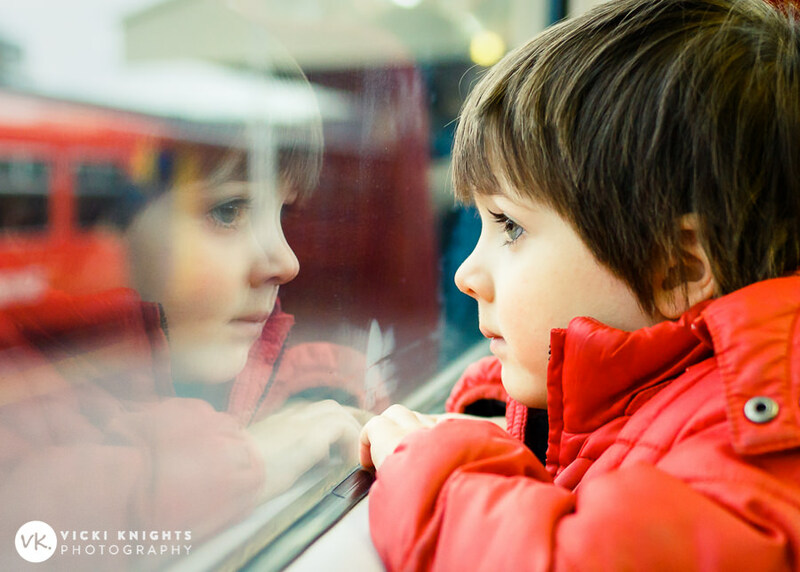 There is beautiful natural light coming in through the windows, so even if it’s raining outside you can still get some lovely photos of your child/ren looking out of the window. 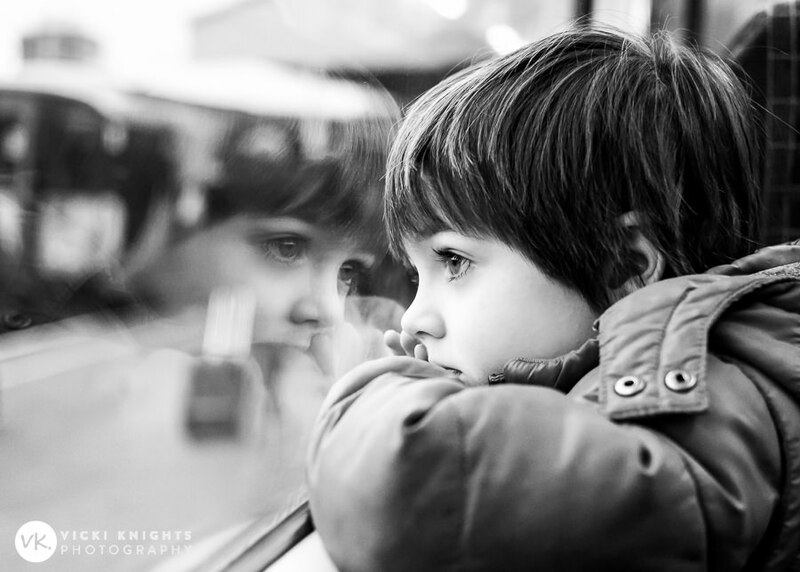 You need to make sure you are sat opposite them, then just snap away as they are looking out of the train window. I love soulful, timeless images like this. These last few photos show just how miserable the weather was that day. But hopefully I’ve demonstrated that you can still get lovely photos of your children despite awful weather! So there you have it. My tips are to go to an urban area, look for colour, use some props if possible and make sure you get a train there! I hope this post has given you a bit of inspiration to get out and photograph your children even if the weather is awful. 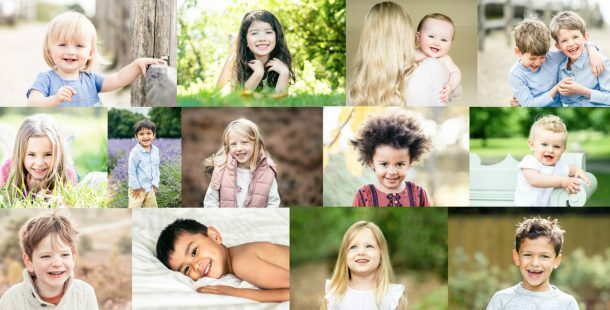 If you struggle to get natural smiles in your family photos, makes sure you sign up to my free video training with my 8 secret tips for getting natural expressions from your children. Just fill in your details below and the training video will be sent straight to your inbox. You’ll also receive monthly photography tips like this straight to your inbox.